The tax filing deadline for our 2017 income tax returns has come and gone. Are your 2018 income taxes going up or down? To help you answer that question, let’s dive into some tax changes in Tax Cuts and Jobs Act of 2017 (TCJA). First, here are my observations from the 2018 individual income tax filing season. Once again, I volunteered for the AARP Foundation Tax- Aide Program. The Program has IRS-certified volunteers that offer free tax preparation help for low to moderate income taxpayers, especially if you are 50 or older. 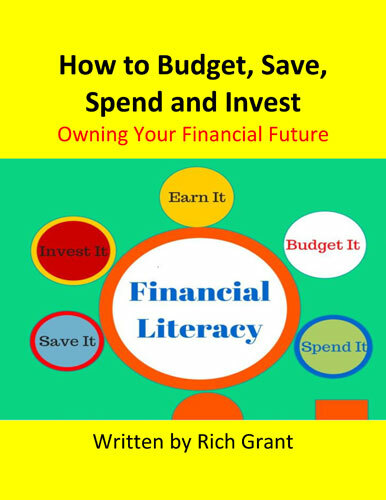 As you know, financial literacy is an area that requires improvement for both the young and senior citizens alike. Tax returns for certain older clients included situations where the taxpayer had unintentionally triggered income reported to the IRS. This income was reported on Form 1009-R for retirement plans and on Form 1099-Div for U.S. Savings Bonds. Both situations occurred because the taxpayer liquidated their investments and received the proceeds. In the case of proceeds from an Individual Retirement Account, the taxpayer did not deposit the proceeds into another tax deferred vehicle within 60 days of receipt. Proceeds from U.S. Savings Bonds, not used by the taxpayer, but deposited into a savings account are taxable. U.S. Savings Bond interest is taxable upon receipt – however, if the taxpayer remains invested in the Savings Bonds, even after maturity, it would not be taxable. However, once the bonds mature no additional interest is earned. Several younger taxpayers we served had too little tax withheld. This resulted in large underpayments and the need to find monies to pay the tax due, and any underpayment penalties. To avoid this situation, taxpayers with W-2 income must revisit their Form W-4- Employee’s Withholding Allowance Certificate for 2018. In addition, being uninsured for healthcare may result in taxpayers paying additional tax. The changes to the tax code beginning in 2018 are significant. A few of those changes I will highlight here. 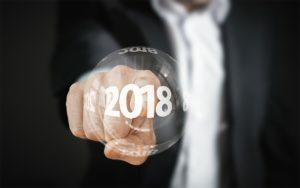 However, there may be other changes that will impact you in 2018 and beyond. Therefore, it is important to digest and analyze these changes now rather than during the 2019 tax filing season. As you read this post, I would suggest you follow along, as I did, using your 2017 Form 1040 U.S. Individual Tax Form. This will allow you to determine the impact these changes will have on your 2018 income taxes and related Form 1040. For this exercise you can skip to page 2 line 38 of 1040 – Adjusted Gross Income (AGI). The two items between line 38 – AGI and line 43 – Taxable Income of Form 1040 play a large role in the amount of tax you will ultimately pay. The first item is on line 40. You either reduce your income by a standard amount or an itemized amount, whichever is greater. The standard deduction has increased substantially. In addition, for 2018, the additional standard deduction amount for the aged or the blind is $1,300 each, an increase of $50. The additional standard deduction amount also increases $50 to $1,600 for unmarried taxpayers. TCJA eliminated exemptions on line 42, which were $4,050 in 2017 each for you, your spouse and each dependent. In addition, as discussed below, the TCJA increased the Child Tax Credit. I have always itemized my deductions principally because I live in a high income and property tax state. Income and property taxes, along with mortgage interest and charitable contributions, have made up the bulk of my itemized deductions. There has been much written on how many taxpayers will continue to itemize. I have read as little as 5% to as much as 15%. This is significantly down compared with estimates from prior years of between 28% and 36%. The categories of itemized deductions on the 2017 Schedule A include: medical and dental expenses, taxes you paid, interest you paid, gifts to charity, casualty and theft losses, job expenses and certain miscellaneous deductions. Remember, it will only be advantageous for you to itemize if your total of these expenses is in excess of your standard deduction. Medical and dental expenses. Retroactive to 2017, the TCJA allows taxpayers to deduct unreimbursed medical expenses that exceed 7.5% of adjusted gross income. This is more generous, as it was 10% of AGI in the past and will return to 10% in 2019. Taxes you paid. 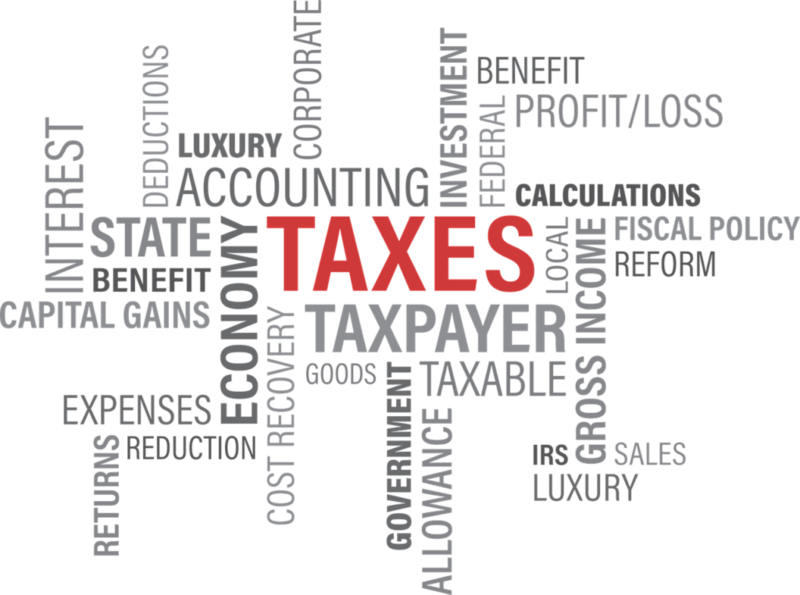 Included in this category of deductions are state and local income taxes or sales and property taxes. These deductions are now limited to $10,000 per return, not per person. Interest you paid. There are two important changes here. For mortgages taken out after December 14, 2017, the interest on the first $750,000 of mortgage debt is deductible. In addition, home equity loan interest is only deductible if the proceeds of the loan are used to make substantial improvements to the home, and the combined amount of the mortgage and the home equity loan do not exceed $750,000. Gifts to charity. The TCJA raised the limit as to how much in charitable contributions can be deducted in any one year. The limit has increased to 60% of AGI from 50% of AGI. Casualty and theft losses. Historically, individuals could claim as an itemized deduction certain personal casualty losses. However, beginning in 2018, this deduction has been eliminated, with the exception of casualty losses which happen in a federal disaster area. Job expenses and certain miscellaneous deductions. The TCJA removed deductions for unreimbursed employee expenses for travel, meals and entertainment, union dues, tax preparation fees, certain investment advisory fees and many more. Taxable income on line 43 results from subtracting either your itemized or standard deduction, whichever is greater, from your AGI. Next calculate the tax using the new tax bracket tables. The table for married filing jointly is below. If your filing status is other than married filing jointly refer to the TCJA. Over $600,000 $161,379, plus 37% of the excess over $600,000. Line 44 – Tax. 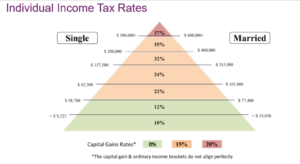 This line includes tax on income including dividends and capital gains. If you have dividends and capital gains, you must complete a Qualified Dividends and Capital Gain Tax Worksheet. Whatever tax bracket you are in for both tax on ordinary income, and dividends and capital gains, remember, there are other taxes you might be responsible for on your Form 1040. Of these additional taxes, the Alternative Minimum Tax (AMT) has changed. AMT limits the amount of tax deductions allowed by the regular tax system, resulting in more taxes being paid to the IRS. The AMT adjustments include such things as state and local taxes, personal exemptions and miscellaneous deductions. TCJA reduced or repealed these deductions which should result in fewer AMT taxpayers. In addition, as set forth below, both the income exemption (the amount of income that is automatically exempt from AMT) and the exemption phase out level (the income level above which you gradually lose your income exemption) have been increased. Therefore, the number of AMT taxpayers will be substantially reduced. The income exemption amount is calculated beginning with adjusted gross income and adding back deductions that aren’t allowed for AMT purposes. This tax credit has been increased to $2,000 from $1,000 for each child in a family who is under 17 at December 31. The child you claim as a dependent has to meet 6 tests to be eligible. The tests revolve around age, relationship, support, dependency, citizenship and residency. This credit begins to phase out at $400,000 of adjusted gross income for couples and $200,000 for singles. The phase out amount has been increased from $110,000 for couples and $75,000 for single taxpayers in 2017. As discussed above TCJA eliminated the personal exemption. This was a subtraction in arriving at taxable income. The Child Tax Credit is a dollar for dollar reduction in tax and therefore, maybe more valuable to the taxpayer than the personal exemptions. The TCJA also increases the amount of this credit which is refundable. This means the taxpayer can receive up to $1,400 for each qualifying child even if they have no tax liability at all. The remaining amount of the credit up to $2,000 is nonrefundable. 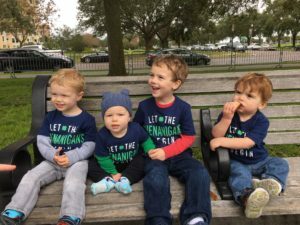 In addition, the TCJA provides for a credit of $500 for other dependents, which might include an aging parent or a child 17 or older. This credit is nonrefundable. So, are your 2018 income taxes going up or down? If you completed this exercise, you have a good idea if your 2018 income taxes are going up or down. Therefore, you should consider completing a new Form W-4: Employee’s Withholding Allowance Certificate after filling out the Personal Allowance Worksheet. 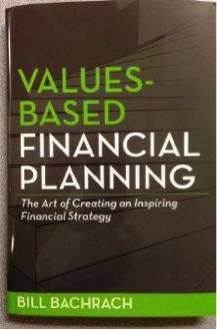 If you need to do financial and estate planning, you have just begun the process. A review of your tax return walks you through much of your financial activity. Therefore, on your tax return is much of what is needed to prepare your annual budget. It is also the beginning to preparing your long-term financial plan. Lines 7-22 include all your income from salary to dividends to pensions and social security. Lines 23-37 focus on health savings accounts (HSA), self-employed pensions and health insurance and student loan interest. Enumerated on lines 38-56 are your deductions and credits. They include your itemized deductions, child and education credits and residential energy credits. Other taxes are include within lines 57-63 and include additional taxes for medicare and the net investment income tax. The payment section includes monies withheld from your paychecks and estimated payments. Your tax return is part of the roadmap to your financial future. This is where you can find details of both your cash flows and investment information. This is a great opportunity to either begin your planning or to take a fresh look at whether your strategies are on track to meet your financial goals. With TCJA now in effect, you may want to adjust your financial plan and take advantage of this legislation to retain the most income possible. While you’re at it, you may want to take the first step towards financial literacy for your child or grandchild. 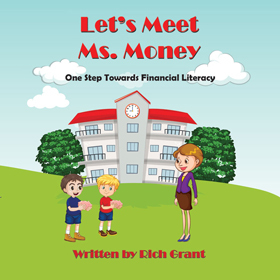 If so, Let’s Meet Ms. Money is now available. What else do you need to know about Tax Cuts and Jobs Act of 2017?